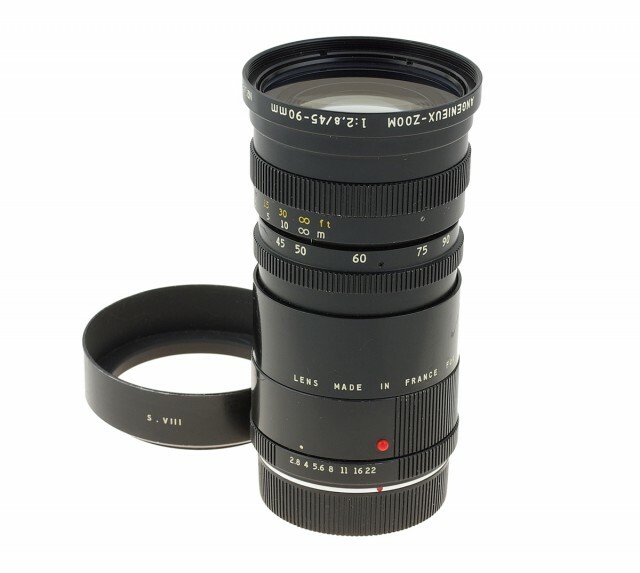 First zoom lens for Leicaflex SL. Designed for Ernst Leitz by Pierre Angenieux (Paris). World's fastest standard zoom at that time. The minimum focusing distance could be decreased from 100 to 60 cm with the help of dedicated close-up adapter (98001). 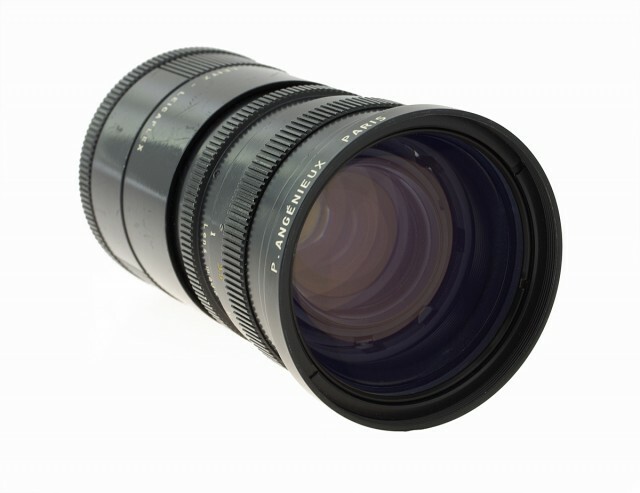 The lens was made in 2-cam and 3-cam variants (since 1976). 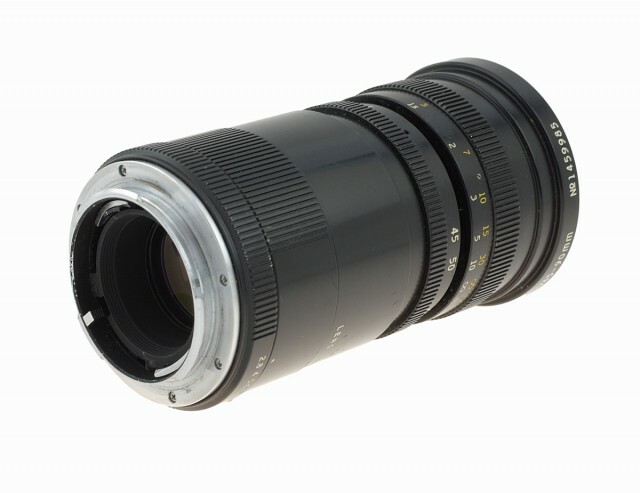 This is the only lens that can't be converted from 2-cam to 3-cam version. There's no exact official information about the number of copies, about 1000-2000 lenses were produced according to Angenieux' representative.